In a little over a year's time I've accumulated close to 200 different whiskeys. As number 200 approached I started to think that it needed to be something really special. 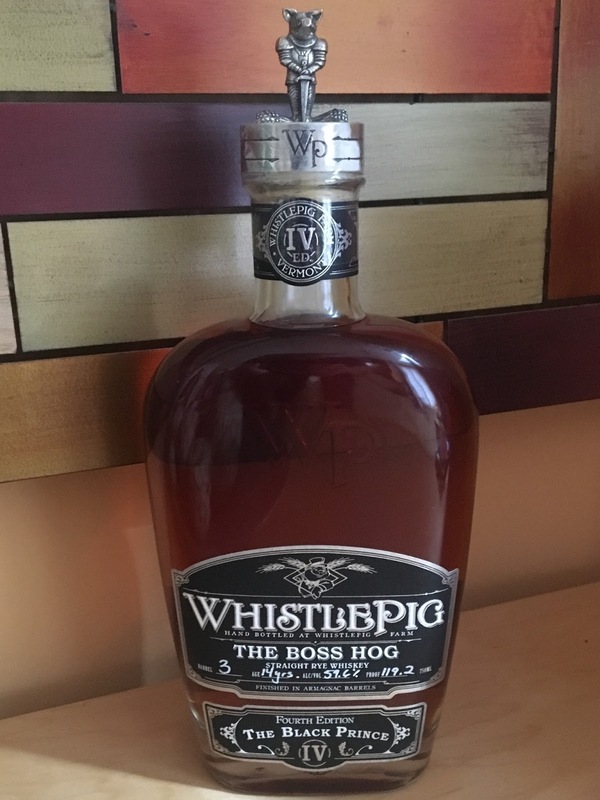 I belong to a Facebook group called Bourbonr and someone in the group posted that they got three bottles of the new WhistlePig Boss Hog: The Black Prince in their store and it sold out immediately. 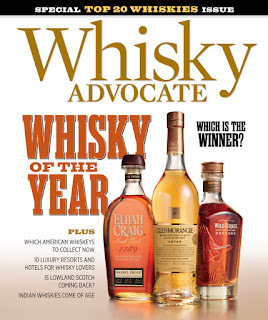 This whiskey was named Best in Show for whiskey in a blind tasting at the recent San Francisco World Spirits Competition. The folks at WhistlePig are doing something right, and they are pricing their whiskey at what they think the market will bear, rather than underpricing it and allowing the secondary market flippers to make money on someone else's product. 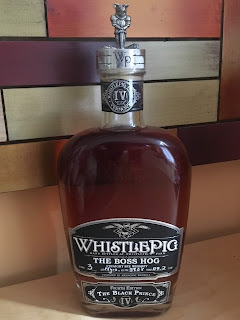 Two years ago WhistlePig priced this annual limited release at $150. Last year they doubled it to $300 and this year's price...a whopping $500! Now that there is some big cojones. WhistlePig was my gateway whiskey. The one that got me started on a love of all things whiskey. Rye whiskey is my current choice over bourbon and higher proof beats lower so this bottle checked all the boxes. I called the store to inquire about the Boss Hog and had a nice conversation with the owner. He told me that someone backed out on one of the bottles and it was mine if I wanted it. The only problem was that the store was located six hours away in Boston, MA and they were unable to ship it. Luckily, I just so happened to know that a bourbon-loving friend of mine was going to be in the Boston area, and he was more than happy to help me acquire this milestone bottle. The bottle arrived recently and it's gorgeous. The liquid is dark in color and the pig in chainmail armor topper is outstanding. I'm hoping the mood strikes me soon to crack this one open.